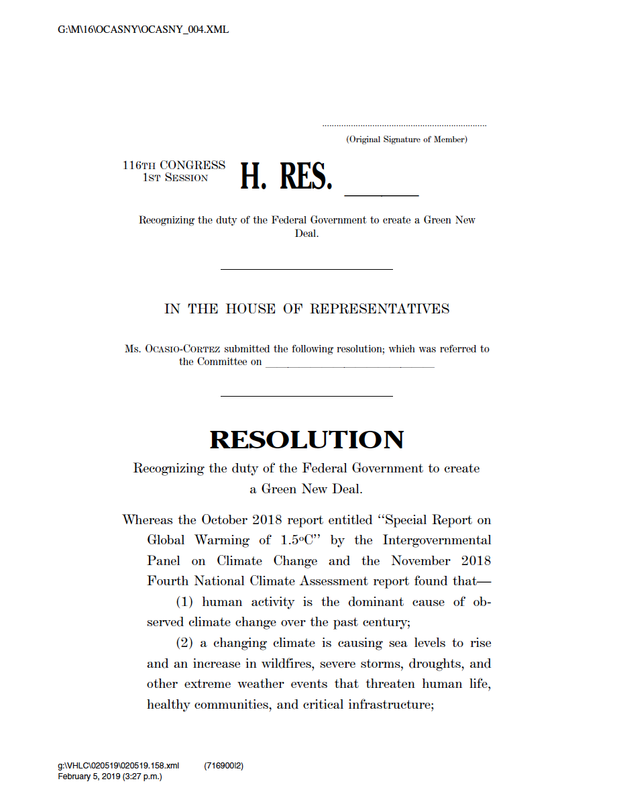 The “Green New Deal” has come into sharper focus with the publication of a draft Congressional resolution (not yet formally introduced and numbered at this writing, text available here) by Rep. Alexandria Ocasio-Cortez and Sen. Edward Markey which, if adopted, would set out the principles for further legislation. The Green New Deal is probably creating more excitement in the right-wing media than anywhere else, with coverage alternating between outrage (socialism!) and mockery (especially of their favorite cover girl, OCA). 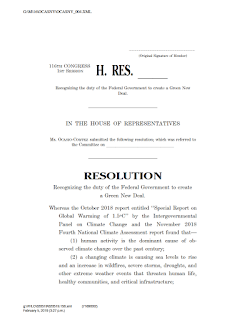 In my opinion, the Green New Deal makes great sense as an organizing concept for a whole bunch of stuff that we need to do and can do that will make us a better, fairer, more prosperous, and more sustainable nation, ready for the climate travails coming in the second half of this century. Obviously a lot more can be said and needs to be said about how transportation fits into the broader picture. But I’m glad the concept of the Green New Deal is providing a focus for the debate on how to prepare for Climate Change – a subject I don’t find very funny.